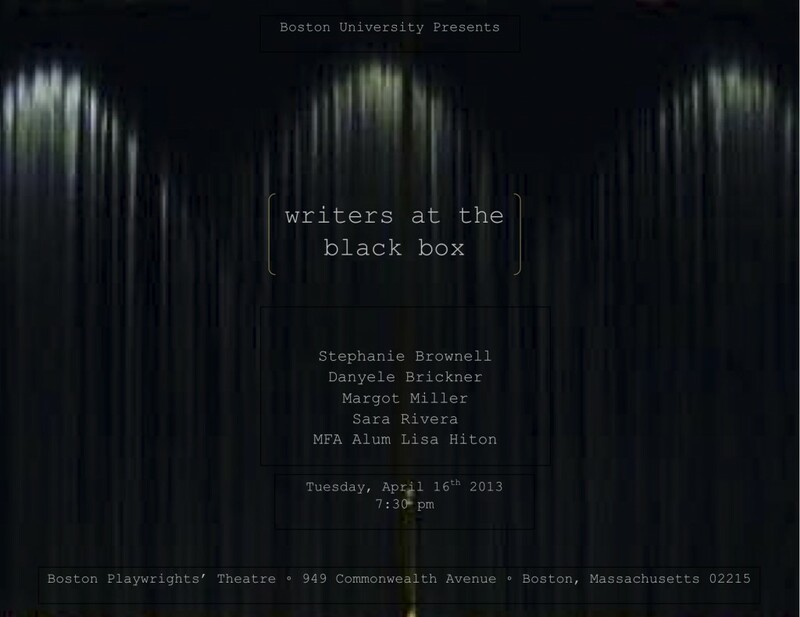 Boston alumni and friends, please join us this Tuesday night for the year’s first installment of Writers at the Black Box, our student-run reading series. Readers will include Stephanie Brownell (Playwriting 2013), Danyele Brickner (Playwriting 2013), Margot Miller (Fiction 2013), Sara Rivera (Poet 2013), and the alumna Lisa Hiton (Poetry 2011). The reading is open to the public and will take place at BU’s Black Box theatre, 949 Commonwealth Avenue, Tuesday, April 16, 2013 at 7:30pm. We hope to see you there!